Is Indonesian Football Capable Of Meaningful Change? Football clubs have been planning for the 2018 Liga 1 season since December, paying salaries, signing players, booking hotels, playing for flights, yet we are still none the wiser of the format of the new season. When will it start? Who are the sponsors? Will Piala Indonesia return? Mystery surrounds all these questions and more. The season was due to start 24th February. That was moved to 3rd March. The latest we have is 10th March. We're in the second half of the second month of the year and we are still none the wiser. It's not as if 2018 isn't going to be a busy year. Jakarta, West Java and Palembang are hosting the Asian Games; we have the AFF Suzuki Cup at the end of the year. Nine months to squeeze in 34 rounds of league games, if we have 18 teams in Liga 1, a national cup competition, international friendlies and of course full on internationals? It's a mammoth ask for any organiser. Even if we have a fixture list released are we sure where teams will play their home games? Persija's Bung Karno Stadium and Sriwijaya's Jakabaring Stadium may not be available for some games as they are needed for the Asian Games. Interestingly Persib can use their GBLA Stadium while other venues in West Java, like Soreang, Cibinong, Bekasi and Cikarang are prepared for the international events. And what of newly promoted PSMS? Their stadium is undergoing renovations, where will they call home? Some stories suggest Banda Aceh, others Pekanbaru; neither a short bus ride away from their core support in Medan. 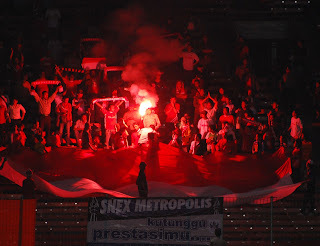 Persija have been linked with Singaperbangsa Stadium in Karawang. Bhayangkara with PTIK Stadium, more a field with a stand, in Jakarta while PS TNI have renamed themselves PS Tira and moved to Bantul for the season and another newly promoted side, PSIS, have been linked with playing their home games in Sleman or Magelang while Jatidiri gets renovated. This kind of nonsense of course happens every year, it's just no one seems to be prepared for it. Instead of being excited about a thrilling new season where we welcome back three of football's great names, PSMS, Persebaya and PSIS, we are left asking questions about the PSSI and the administration of football in the country. Is it true neither Bhayangkara nor Persebaya (Liga 1 and Liga 2 champions respectively) have received their prize money for last season? Is that not embarrassing? Instead of celebrating the fact so many promising young players are being appreciated overseas and have been offered contracts in Malaysia and Thailand we have a PSSI leadership damning them with feint praise and casting doubts on their patriotic fervour. A PSSI by the way that is now, according to some reports, based in a private house in South Jakarta and whose leader, quick to condemn others for lacking their nationalistic credentials, will be taking a sabbatical from his duties to stand for election in North Sumatra. Against this backdrop of institutional malaise the clubs are pretty much being left to fend for themselves, hence the number of pre season tournaments which offer the prospect of some cash flow and the chance of winning trophies. Bali United and Persija will meet in the President Cup Final this weekend in Jakarta in front of over 60,000 and such is their determination to succeed they effectively sacrificed their opening group stage games in the AFC Cup to protect key players ahead of the game. And once the President Cup ends the focus will switch to the island of Kalimantan which will play host to the East Kalimantan Governor's Cup and the Battle of Borneo. It was to accommodate the former the Liga 1 was put back a week. yep, pre season tournaments taking precedence over the domestic season and international competitions. The slap dash approach to regulations that confused so many last season shows no sign of disappearing. How many clubs can an individual be involved with? In many countries the answer is clear, in Indonesia less so. And now, just to show how innovative the country can be with football we are seeing the rise of coaches as franchises with one gentleman, involved with at least two clubs, possibly a third, as well as overseeing the selection process of another. In between all these jobs he is also involved with the national Under 19 team. 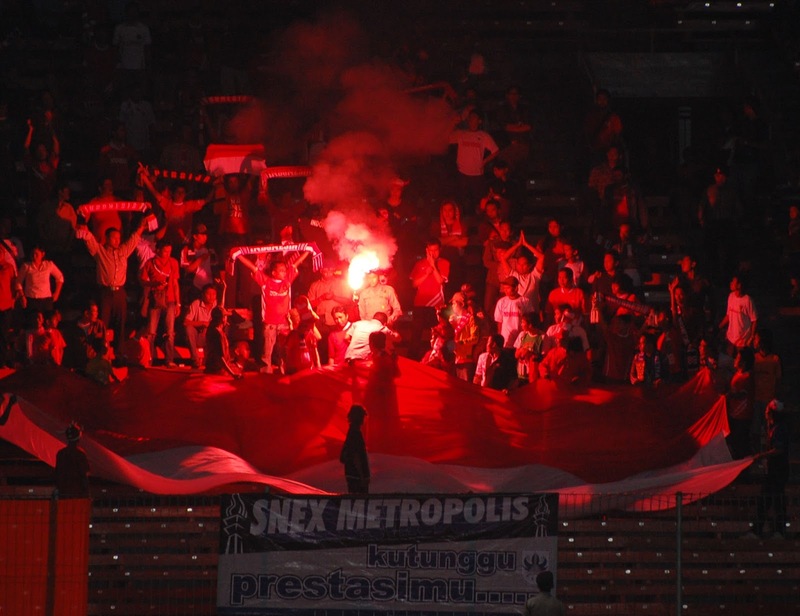 Outsiders like to gush over the potential of Indonesian football. We see it every time someone comes over to visit for two or three days on carefully stage managed tours where they are greeted by warm smiles and friendly faces. The latest was Michael Owen who visited a well known soccer school in Jakarta and told the young lads he hoped one of them could follow in his footsteps in a career that has seen him play for Liverpool, Real Madrid and Newcastle United. So excited is he by what he saw he is looking to give his name to a new football academy. He would do well to learn the lessons of Arsenal and Liverpool who similarly have been seduced by the passion they witnessed only to fail when it came to matching that passion with cold hard cash. The potential is there, of course it is and slowly clubs outside Indonesia are recognising it. We are currently blessed with some top coaches, Simon McMenemy (Bhayangkara), Robert Alberts (PSM), Widodo Cahyono Putro (Bali United), some forward thinking clubs (Borneo, Bali United, Madura United) and of course some exciting young players like Andritany Ardihasa (Persija) and Febri Haryardi (Persib). Indonesia boasts the best terrace culture in South East Asia and whatever else happens in 2018 once the season kicks off Persebaya are likely to have the largest attendances not just in ASEAN but throughout Asia. Unlike Malaysia and Thailand, every season four or five teams are serious title challengers. There is a Liga 2 which has teams attracting more fans than the biggest and best across the region. But what do all these pluses mean when those charged with running the game can't do something as basic as prepare for a season? What's the point of buying the body of an Aston Martin but installing the engine of a Vespa? If only signing a striker was an exact science. Arguably the most important player on the field, certainly the most glamorous, football clubs around the world trawl the globe looking for the perfect forward who will provide the goals that can lead them to success and titles. No matter how much research gets done, no matter how many You Tube videos are watched ultimately the recruitment of a striker, especially one unfamiliar to a coach and his staff, will always be a gamble and could ultimately decide the fate of the coach. Take for example Spanish forward Juan Belencoso. After a prolific spell in Hong Kong with Kitchee which included a couple of good AFC Cup runs, he headed to Indonesia and signed for Persib who were ISL champions at the time. It was surely a good fit. Belencoso had done the business not just domestically but internationally and the Persib coach at the time, Dejan Antonic, would have known the striker's qualities from his expansive contacts in the HK game. What could go wrong? Sadly the journeyman striker who had played for 11 Spanish sides before beginning his Oriental adventures bombed. The Persib camp wasn't a happy one with the team struggling for form in the ISC in 2016. Bandung may have a population of around 2.5 million but in football terms it's a village. With Persib not playing well and Antonic under fire there would be no place to hide and Belencoso bombed, soon to be released having failed to find the net in the ISC. Contrast Belencoso's experience with Marko Simic. After a slow start in the 2017 Liga 1 season, Persija's Bruno Lopes found his shooting boots in the second half of the campaign and ended with 10 goals, a reasonable enough return in a season where his form mirrored his team's. However the Brazilian's contract wasn't renewed and he signed for Kelantan in Malaysia leaving Persija in need of a new focal point in the attack. In came Simic, a 30 year old Croatian who had been playing in Malaysia during the 2017 season and had found goals fairly easy to come by. He started the year with Premier League side Negeri Sembilan, netting nine in 19 games before being allowed to join top flight side Melaka United, where he replaced Ilija Spasojevic, and continued his fine scoring record by adding a further 12 to his personal tally. Again we have an experienced well traveled striker with a record for scoring goals on a regular basis in Asia. Persija decided Simic was the man they wanted to replace Lopes and he signed for the Jakarta based side. Unlike Belencoso he has hit the ground running with nine goals in the pre season President Cup and with a final against Bali United this weekend who is to say he won't better Cristian Gonzales' 11 goal haul last season in the same competition. In fact so important is Simic considered now to the Persija team, and an indication of where Indonesian football's priorities lie, that coach Teco left him out of the squad that traveled to Malaysia to face Johor Darul Ta'zim the AFC Cup so the goal getter could be fresh for the weekend's final. To look at Simic's impact since arriving in Indonesia could be misleading and needs to be considered alongside Belencoso. Perhaps Simic benefitted from that year in Malaysia, a country with many similar cultural traits to Indonesia. Perhaps he is benefitting from being in Jakarta which is much less of a football daft city. Regular observers of Indonesian football will not be surprised to learn the 2018 Liga 1 season has been put back by a few days; for the second time. The nation's top league, with the nation's top clubs, top coaches and top players is being forced to play second fiddle to a number of pre season tournaments which confer considerable prestige on the successful teams but cause coaches headaches and can incur extra expense for the bean counters should players get injured. Thousands of Persija, Arema, Bali United and Persebaya supporters descended on the Central Java city of Solo by plane, train and bus to catch the quarter finals of the President Cup. More than 50,000 watched Persebaya play Madura United in their final group stage game. The numbers passing through the turnstiles were comfortably exceeded by the rating the TV broadcasters attracted. Be they seated in the stand or seated in the armchair those punters demand a show and woe betide any team that is deemed to be giving less than 100%. The frentic 100% frenzy on the field is matched by the TV commentator whose celebration of a goal needs to be heard to be believed; the gentleman concerned turns games played in empty stadiums into heavy metal concerts. For him, the TV stations and the spectators there are no friendlies. Coaches don't have time to bed in new signings. For them the President Cup is the new season. If you've seen European teams on tour in Asia or watched an Emirates Cup tie you will see a game played at a relatively gentile pace where players and coaches are focusing on building fitness and not getting injured. TV viewers don't want that. They want the blood and the guts now, this minute and to hell with tomorrow. A coach could lose three big names to long term injury in such a meaningless competition but if his team lifted the trophy no one on the terraces would give a toss. Lose the first three games of the new season however and those same fans would be braying for his head, blaming him for not having a bigger squad or signing replacements. Hot on the heels of the President Cup comes the Piala Guberner Kalimantan Timur (Kaltim Cup) featuring seven Liga 1 sides (Borneo, Mitra Kukar (co hosts), Arema, Bali United, Madura United, Persebaya and Sriwijaya) plus Persiba, another host.This tournament is scheduled to run from 23 February, a mere six days after the President Cup final, to 4 March. The Liga 1 season has now been put back to 10 March, just don't expect any fixture list yet. It's one thing to mess around with the domestic schedule, we are all used to that. But surely it is another to make things difficult for the sides which are competing in Asian club competition for national pride and honour. When some players wanted to play in Malaysia their patriotism was questioned by some at the PSSI. When clubs are handicapped with a set of fixtures that could very well damage their chances of success in the AFC Cup not a word is said. Bali United could potentially have played almost 20 competitive games before the Liga 1 season kicks off and that is just nuts. Yes, it could be argued coach Widodo Cahyono Putro has a larger squad than most of his peers, and perhaps Bali United have slightly deeper pockets, but by any standard that is not a pre season, that is a full on season. Lose a couple of key players and WCP won't have much time to find replacements of a similar quality. Considering that little lot it beggars belief quite why Bali are entering the Kaltim Cup. Remember, there are no friendlies in Indonesian football and with the new season just a few weeks away WCP will have to juggle his resources carefully if his big names aren't to be burnt out before a ball is kicked in anger in what is after all the bread and butter of Indonesian football.